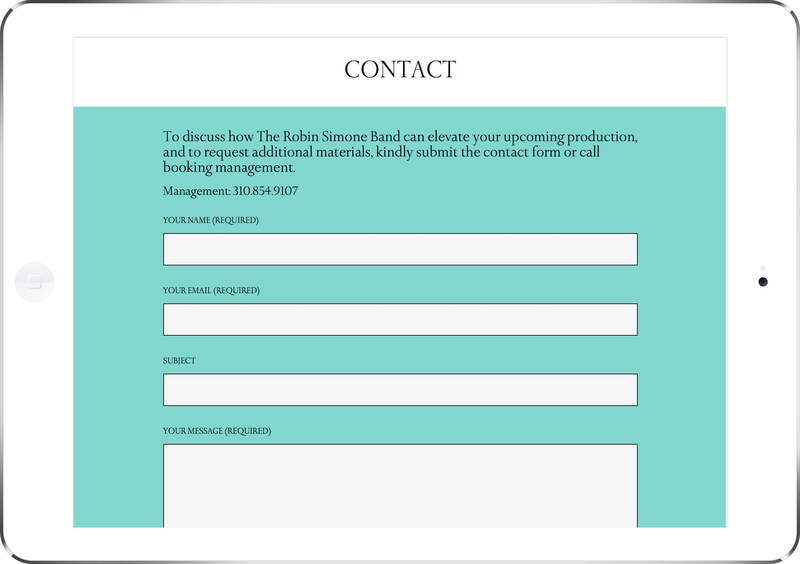 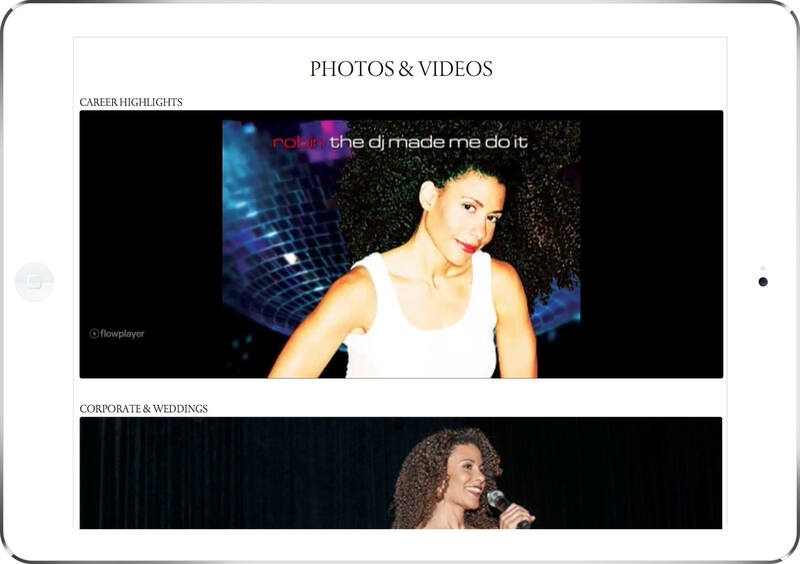 New Website for Three-time Billboard Charting Singer/Songwriter Robin Simone. 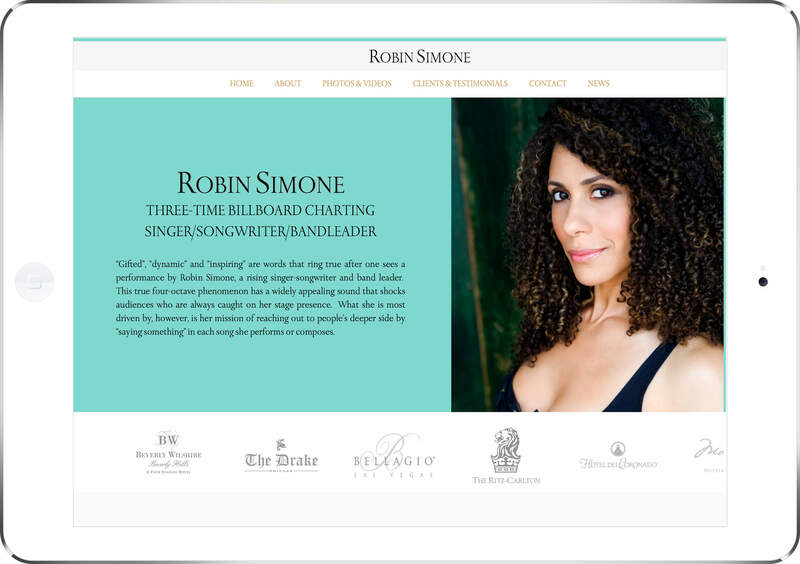 “Gifted”, “dynamic” and “inspiring” are words that ring true after one sees a performance by Robin Simone. 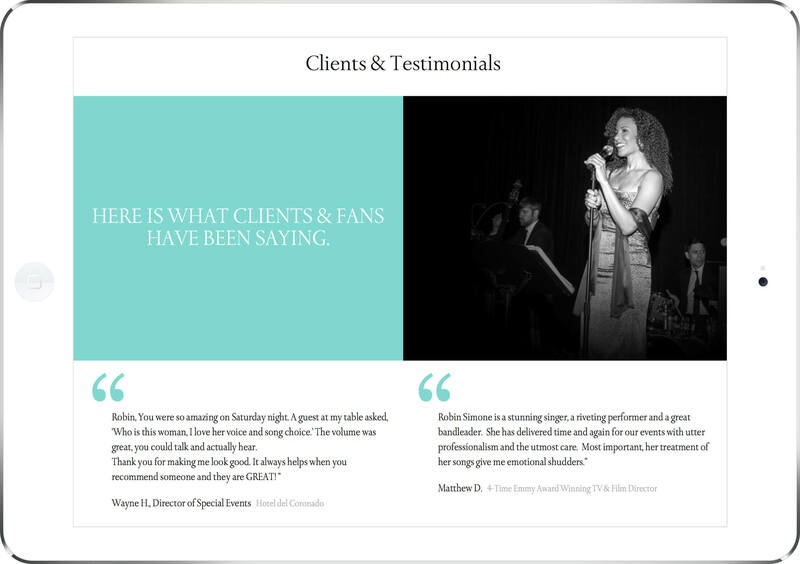 Her team partnered with Specto Design to achieve a brand refresh and updated digital experience to match her extraordinary performances.